I've always been fascinated with the Renaissance ever since I took European history as a subject in the university. In the major museums that I've been to, such as the Met Museum and the St. Louis Art Museum, the Renaissance section is where I usually linger the most. It is where I rediscover the paintings, architecture, technology, history and the personalities behind the great cultural movement. One of those figures that stand out the most was Leonardo da Vinci, the 15th century Italian polymath whose paintings, sculptures, inventions, and ideas epitomized that era of intellectual growth and discovery. Incidentally, I was able to finish watching the TV series Da Vinci's Demons, which further piqued my fascination with the genius. So when I heard that the Mind Museum, the newest science museum in Metro Manila I made a mental note to see it as soon as I can. I was finally able to go to the museum this weekend to see the exhibition. The da Vinci exhibit is separate from the main gallery, in one of the smaller exhibition halls. It's not very expansive but the exhibit encompasses a majority of Leonardo's inventions and artworks as to give a definitive portfolio. 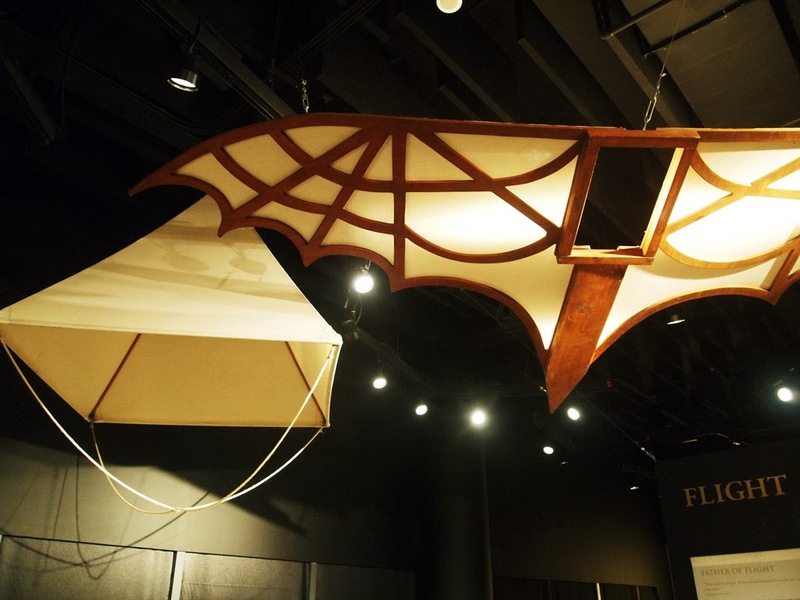 The first things that I noticed after we entered the hall were the giant flying machines that da Vinci developed, including a tetrahedral parachute, a prototype of a helicopter, and a rather-medieval looking set of wings. 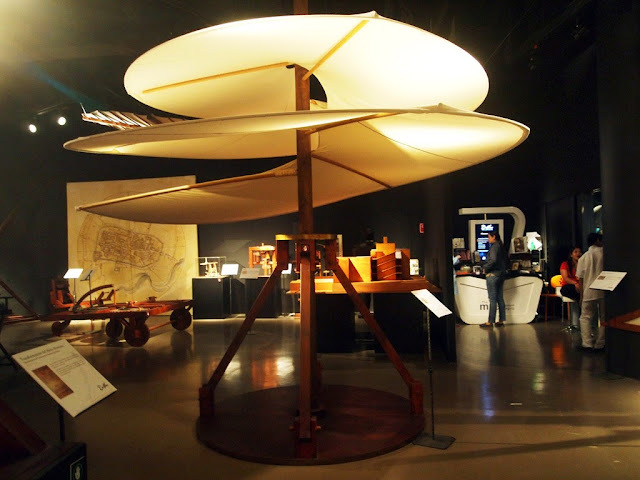 In the section called Flight, various models and drawing were also displayed, emphasizing da Vinci's contribution to man's quest for flying. The rest of the exhibition were thematically grouped. 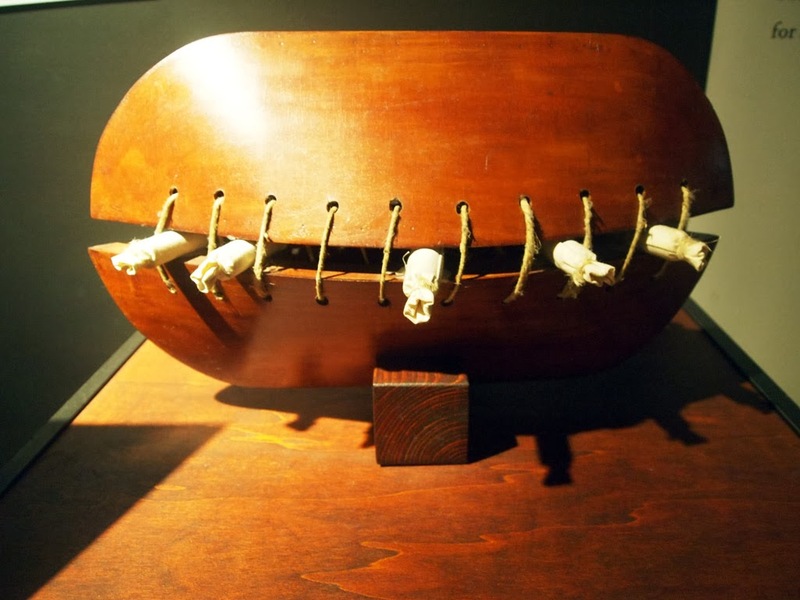 There's a section about da Vinci's work on pulleys, gears and clockwork, another about his inventions pertaining to water transportation, such as a schematic for a ship-sinking ship, which looks like a submarine, an underwater breathing apparatus, and models for a double-hulled ships. If you are a fan of military history and weapons then you'd appreciate the section showing the weapons that he developed for his benefactors, such as Lorenzo de Medici. Aside from the siege weapons, there were a handful of rather complicated war machines - a giant scythe mounted on a cart designed to cut the legs of enemy soldiers, a multi-directional cannon, and a conical vehicle that was a precursor to the modern battle tank. There's also a section for his art. Leonardo da Vinci did not leave that many artworks, and most are in Italy and France (one of my motivations for going to France one day is just so I can go to the Louvre and see the Mona Lisa). The exhibit did show reproductions of some of his important paintings and drawings, including the Vitruvian Man (top photo), the Annunciation, The Virgin of the Rocks, and of course, the Mona Lisa. 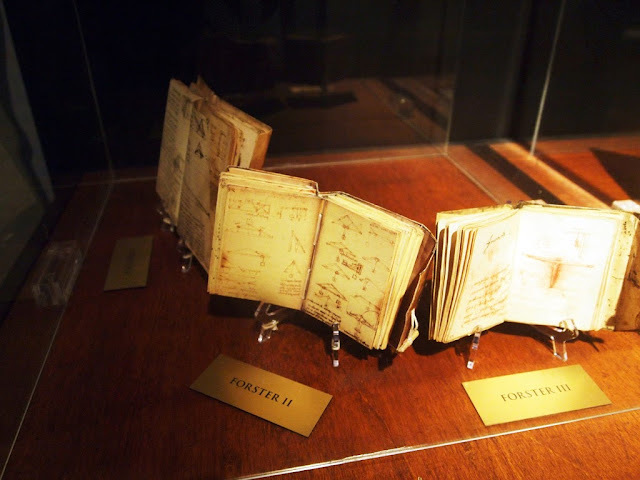 Some reproductions of his notebooks and codices were also shown. 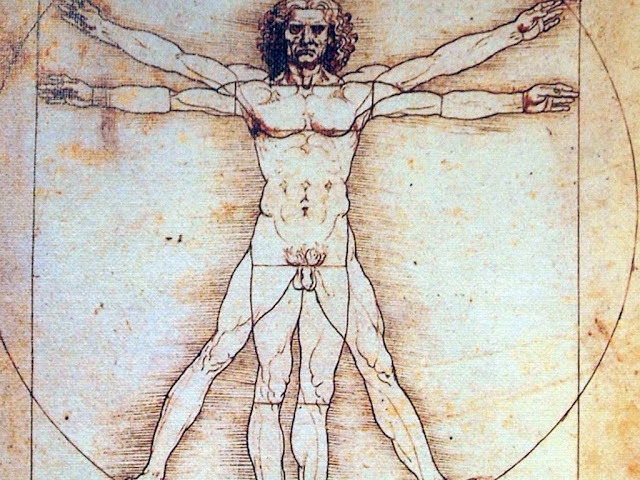 A small theater also shows a documentary about Leonardo's life, works and struggles, and it's very interesting to watch, aside from the life-sized inventions that marked his genius. 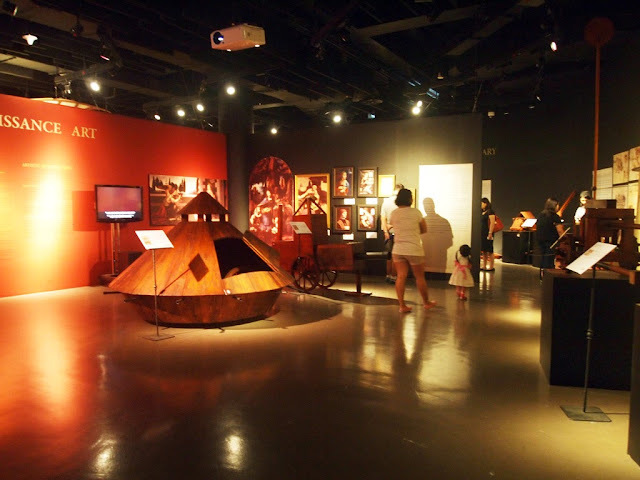 The Leonardo da Vinci exhibit is displayed in the Mind Museum, Bonifacio Global City, Taguig. The museum is at J.Y.Campos Park in 3rd Avenue, Bonifacio Global City. There is no public transportation going to the area so you may have to take a cab to get here. The exhibit runs until November 30. Entrance is PhP 250 for adults, PhP200 for children. The ticket is separate from the main gallery exhibit.